Standard 13.5' x 66" x 21-30"
Equip your truck with a Buyers service body utility rack. This rack features a rugged and dependable design. 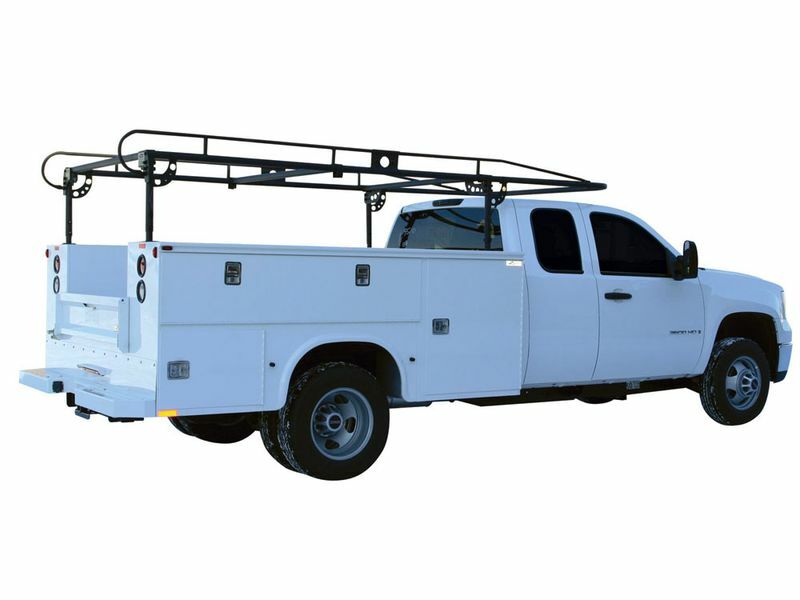 Buyers Service Body Utility Truck Racks are equipped with adjustable height from 21-31 inches. This Buyers Rack supports up to 1,000 pounds of cargo and is designed to fit service and utility beds. Buyers service body utility racks include multiple mounting options, to accommodate top-opening service utility body models. This rack has an over-cab design with built-in grab handles at the rear and tie-points offering convenience and safety. Complete with a strong steel design and E-Coat technology, a powerful anti-corrosion coating. Buyers service body utility rack is guaranteed by a 1 year manufacturer warranty. You can rest assured that your purchase is protected against any factory defects. The Buyers service body utility truck rack includes all of the necessary hardware and requires only simple metric hand tools.